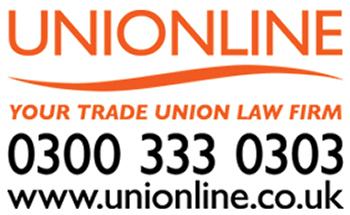 GMB, the union for taxi and private hire drivers in Basildon fears public safety is being put at risk by penny pinching and maladministration from Basildon Council over enforcement. Freedom of information requests to Basildon Borough Council taxi and private hire licensing in relation to enforcement and compliance checks revealed that in a two-year period an average of six vehicles per month were checked for vehicle faults. That equates to less than 1% of licensed vehicles in the borough being checked for mechanical faults, insurance, and touting, a figure that excludes the increasing amount of Uber vehicles that operate in the area despite being licensed by Transport for London. Basildon Council has three Licensing Officers working on taxi and private hire compliance and enforcement, who in a two-year period have spent just 94 hours between them, carrying out compliance and enforcement checks on taxi and private hire vehicles. This means officers are spending less than two hours per month checking all vehicles that offer a hire and reward service for road worthiness, bogus drivers, valid insurance for hire and reward, police checks, and that drivers are not touting for work, or illegally plying for hire. The Department for Transport set in place a best practice guide for local councils that licence Taxis and private hire. Yet Basildon council have ignored the advice given by the DFT in relation to enforcement. “The council’s lack of enforcement is not only putting the public in danger, but is also causing conflict between the members of the trade that adhere to the law and those that choose to flout the law for financial gain. Many licensed drivers are forced to do their own enforcement, asking these out of town minicabs if they have a booked fare, or having to explain that they cannot park on a taxi rank, only to receive verbal abuse. "Enough is enough! If the council won’t enforce, we as GMB members will don the hi vis jackets and go out enforcing ourselves, by videoing the encounters and posting them on YouTube and other social media channels, to embarrass our penny pinching council into robust enforcement action against those that flout the law for financial gain, and put the public at risk."